Jordan Fisch submitted this photo and caption. 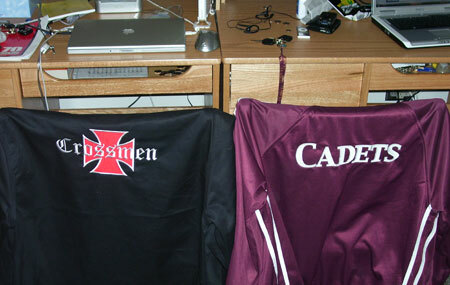 My roommate Jason Welsh and I toured this summer with the Crossmen and the Cadets respectively. Although we have many arguments surrounding our philosophies about drum corps, we always manage to find that common bond that can be seen in all corps!